What was once out of bounds for American tourists is now fast becoming the ultimate Caribbean island adventure. 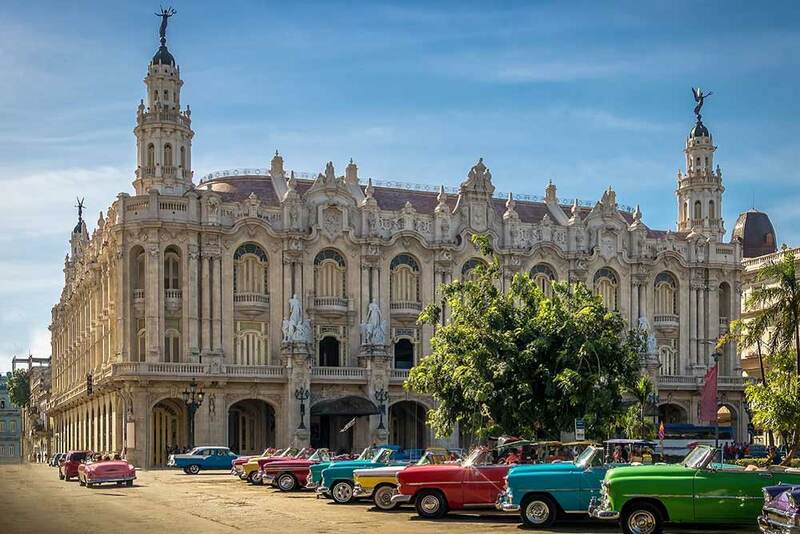 Cuba, with its miles of white sandy beaches, diverse culture, breath-taking architecture and welcoming hospitality, is now widely considered to be a must-visit tourist destination, but reaching this beautiful island requires a long-haul flight. Fortunately, thanks to business class flights to Cuba, travelling to this hotspot can be a great part of the adventure. Luxury holidays to Cuba begin with a conversation with your personal travel consultant at Just Fly Business. Our luxury travel specialists are here to help you organise the trip of a lifetime to Cuba, from finding the perfect flights to booking rental cars, airport transfers, parking, tours and more. Get ready to soak up some new sights while enjoying some well-deserved relaxation by booking business class flights to Cuba with Just Fly Business. If travelling for business, our team of specialists find you the best deal on your business flights to Cuba, while building long lasting relationships with you and your company. Holiday travellers will benefit from our knowledgeable team making your dream trip a reality. Cuba, the new must-see Caribbean destination, remains high on many people’s bucket list, and your dedicated consultant can create a truly tailor-made itinerary specifically to your needs. So sit back, relax, and let us plan your next holiday to this beautiful and cultural hotspot! Cuba’s capital city, Havana, is a crazy mix of historical buildings, amazing food, and ever-present music. Some of the best examples of the famous architecture are found around Plaza Vieja, Havana’s “Old Square”. Alternatively, beyond Habana Vieja, Cuba’s biggest city stretches out detailing 20th century municipios such as El Capitiolio, a government building modelled on the US Capitol Building. The old town also has some remarkable sights such as the Baroque-style cathedral, the Museo de la Revolucion, and the fortresses of Castillo de San Salvador de la Punta and Castillo de la Real Fuerza amongst many others. 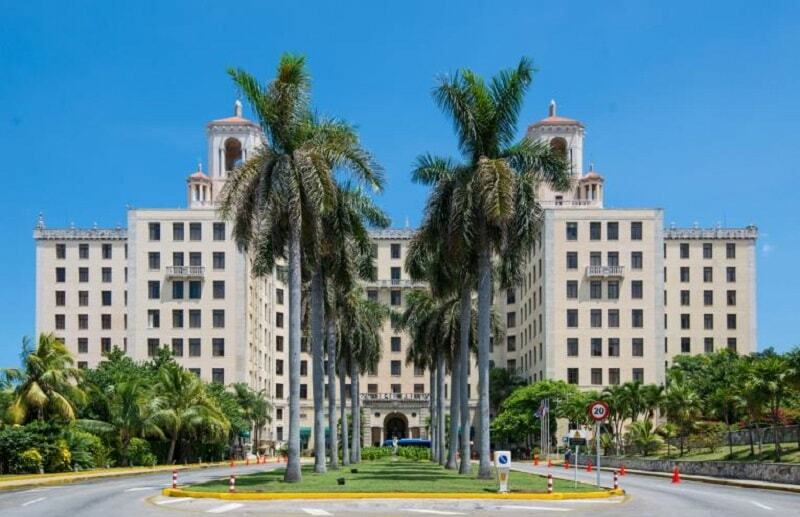 The Hotel Nacional de Cuba was etched into the history books for several reasons dating back to the 1930’s and remains a must-see landmark of Havana. In the evening, the pulsing Malecon comes to life as the sun goes down with musicians, vendors and all kinds of Havana’s characters. Insider’s Tip: Take a tour of El Capitolio, which now houses the Cuban Academy of Sciences, for a fantastic history of the country and the building. Called “the Halong Bay on land”, the Valle de Vinales is the prime tobacco growing region of the country. Surrounded by limestone monoliths that offer panoramic views of the fields, the locals of the area can still be seen with their horse and carts transporting the crops. 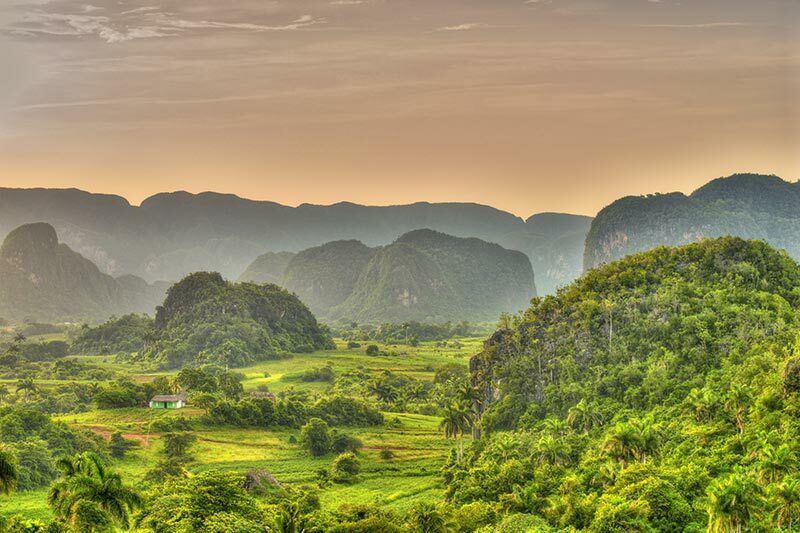 The serene beauty of the region is also a nature lover’s paradise of protected national parks and is the quintessential example of rural Cuba. Insider’s Tip: Driving in Cuba is not recommended. Take a day tour using a classic 1950’s car and you won’t be disappointed! When the entire old city is declared a UNESCO World Heritage Site you know that it must be on your list of things to see in Cuba. At around 4 hours drive from the capital, visitors can also stop along the way at Santa Clara to visit the resting place of the famous revolutionary, Che Guevara, in the Che Guevara Mausoleum. Founded in 1514, Trinidad grew in importance during the 17th and 18th centuries as a hub of sugar production. The rich land owners and merchants built fantastic mansions amongst the cobblestone streets, and the colourful properties have barely changed since then. 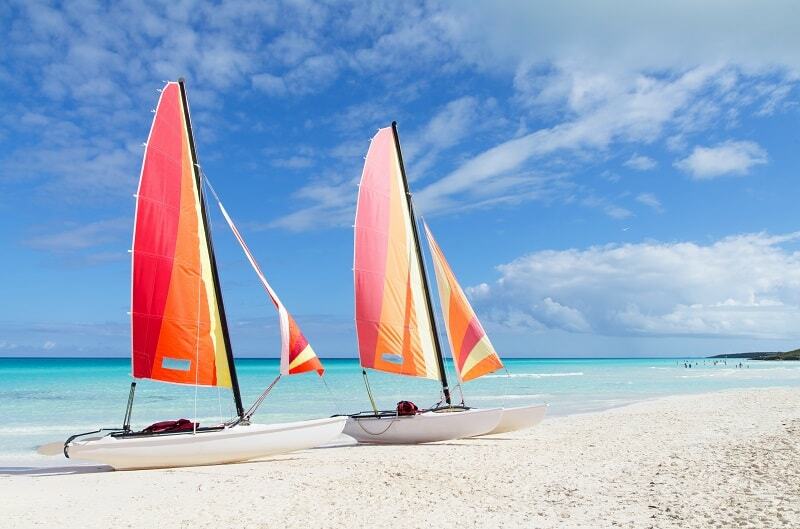 Take a break from the sights and make your holiday to Cuba a combination of both adventure and relaxation. The beaches of Cuba offer pristine white sand leading into azure seas that will have even the hardiest traveller reaching for their towel. At only 2 hours drive from Havana, Varadero is the area of choice for most tourists with over 12 miles of amazing coast to choose from. With All-Inclusive resorts lining the shores, the area has become more popular in recent years, but secluded stretches of sand can still be found. If you are looking for a much quieter beach escape try Playa Jibacoa. Further east lie the Cayes, a 280 mile long archipelago joined to the mainland by 3 causeways. These islands are a haven for wildlife including flamingos, but also offer visitors a less developed option than Varadero with beaches such as Playa Pilar on Cayo Guillermo, reputed to be one of the best beaches in the Caribbean! Situated on the Malecon, the Hotel Nacional is steeped in history and provides the perfect place for your next business meeting or event… or revolutionary council! Located opposite El Capitolio, the Saratoga Hotel has you surrounded by the Habana Vieja giving your business access to all that Havana has to offer. The eastern half of Cuba has excellent cities and areas to explore. Santiago de Cuba, Baracoa, and Holguin all offer visitors with an extended holiday to cuba, fantastic colonial charm. The island nations of Jamaica and The Bahamas lie in close proximity to Cuba, as well as Cancun on the Yucatan Peninsula, Mexico. With the USA beginning to fly to Havana again, the nearby city of Miami can be used to create a multi-centre itinerary also. Whether you plan to enjoy the world’s finest cigars or kick back for a week on a sprawling beach, there’s no better way to reach the island of Cuba than by booking a business class flight. Do you need to complete the final touches on your next big project before landing? If so, then you’ll benefit from fast Wi-Fi and more than enough space to work onboard a business class flight to Cuba. When choosing a business class flight, you can expect great entertainment, fully reclining beds and chef-cooked delights as standard. Plus, you’ll be greeted aboard your flying vessel by highly experienced flight attendants and a glass of fine champagne. At Just Fly Business, we want to help as many people as possible enjoy a splash of luxury, which is why we find premium flights without the premium price tag. Our travel agents are always on hand to help you book the perfect holiday for you. Simply enquire online and one of our specialists will help book your business class flights to Cuba within minutes.